Bookkeeping Notes: I get commissions for purchases made through links in this post. Black Pudding #3 is a PWYW artistic OSR zine. Paying for Safe Passage; or, Banditry and Barons by Wayne Rossi is a useful read. An overview about guides for old school gaming (adventure writing, game mastering, etc.). 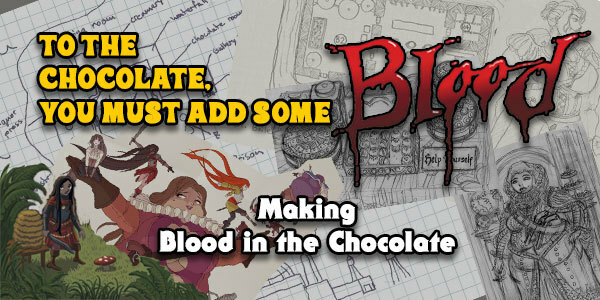 Interesting look at adventure design: Kiel Chenier breaks down making Blood in the Chocolate. Spinetooth Oasis is a free OSR adventure location by Cédric Plante. The Short Concise Spell List by Mike Evans from 2012 is still useful. It's based on the Pathfinder spells. And if you're looking for free OSR games, you are not the only one - check out this reddit post for some recommendations. Fifth Edition Character Sheets by Dyson Logos are PWYW. 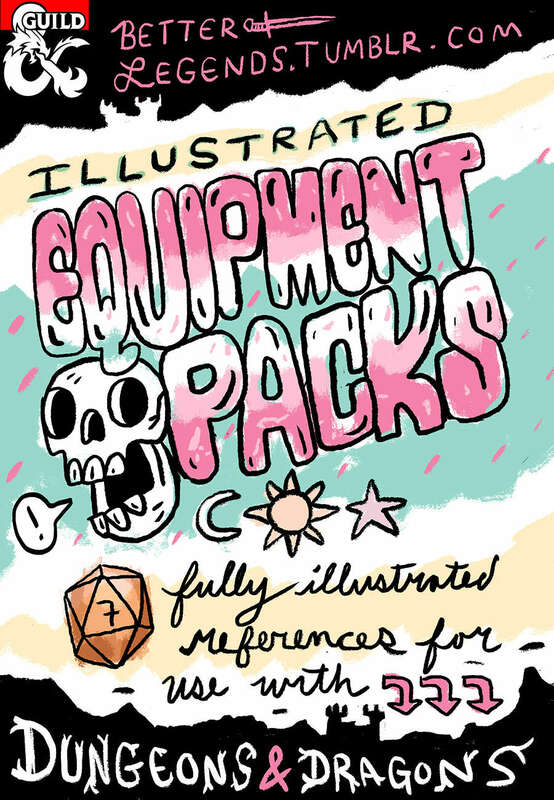 And here are nifty Illustrated Equipment Packs, PWYW. [A GROUP] [IS DOING SOMETHING] with [AN ITEM] at [THE LOCATION] in order to [MOTIVE]. The location is the site or setting of your 5 Room Dungeon. The group is an NPC or faction from your campaign. The item is a MacGuffin, something the party or a PC wants, or a reward. "Is doing something" is the PCs' combat mission or quest. And the motive is how you can connect this 5 Room Dungeon to your campaign. Make it a reaction to something the PCs did a few sessions ago. A druid circle is summoning a dead dragon with an ancient henge at the heart of the Darkwood Forest in order to fight an even greater evil. This could be cool for solo role-playing, too. You can get the four issues of Interactive Fantasy for free. It is a zine about game design and storytelling systems. See James Wallis' tweet. Last week's Weekly Indie RPG & Storygame Review Week 27 and 28, 2017 by Tina Trillitzsch has some interesting links. A discussion about stripped down DW/PtbA games. Ray Otus has another small goodie for you: Plundergrounds 2x. And Issue #8 of the Dungeon World Newsletter is out. Here is the Crowdfunding Collection #46 by Teylen. Standard Patterns in Choice-Based Games is an article about Choose-Your-Own-Adventure books.